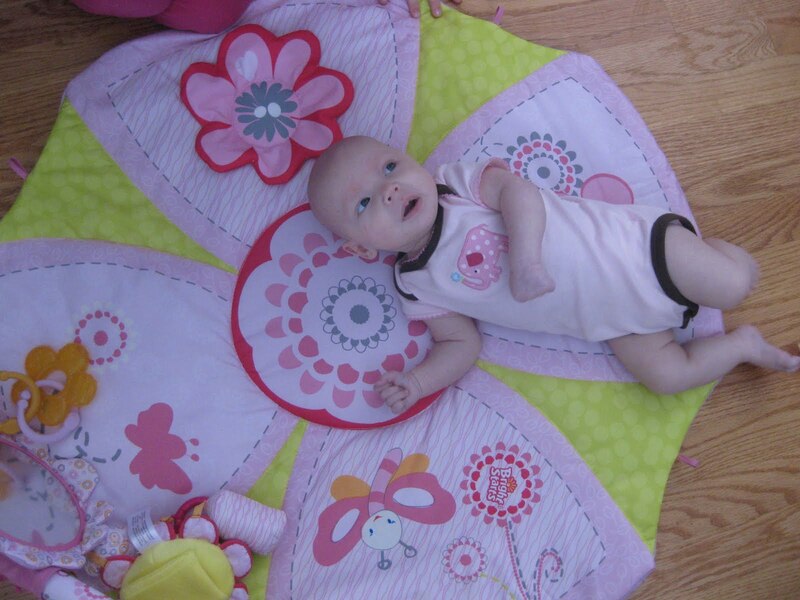 Weighing in at about 10 pounds and with her super bald head, many people think little everydayBaby is still a newborn. But our 10-week-old is ready to get mobile. 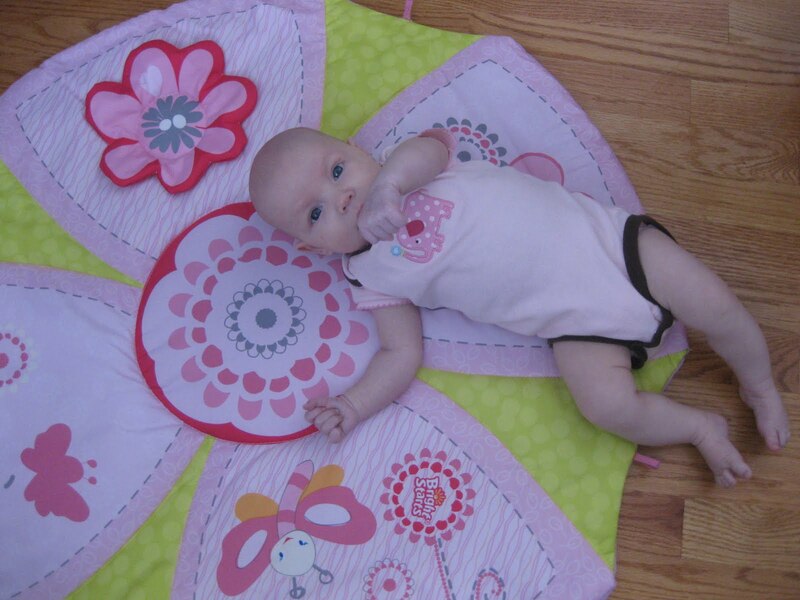 She has been doing her workouts faithfully, and we’re predicting she could be rolling over in a few weeks. Here she is in training. 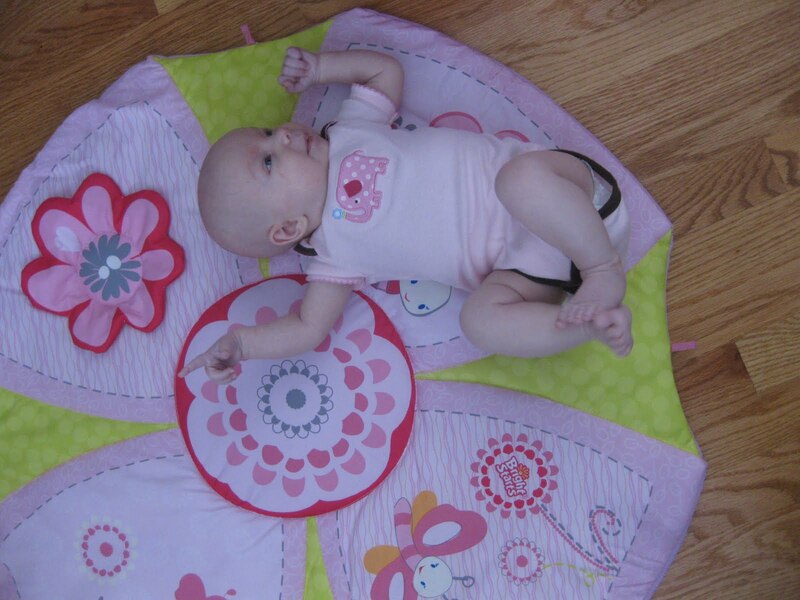 After a few swats at the toys on her play mat and a good look in the mirror overhead, she is ready for spin class. 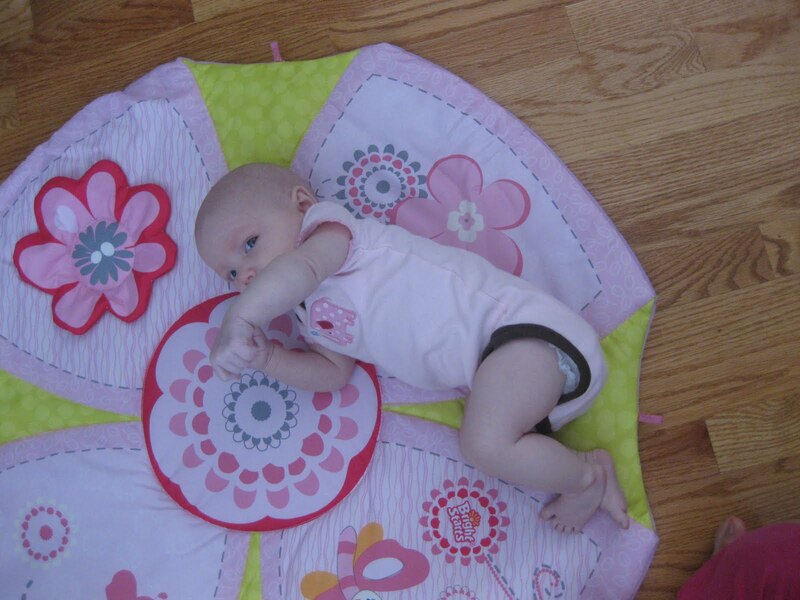 This is when she uses her powerful legs to spin the rest of her body around until she has moved in a complete circle. I’ve also been doing a little more physical activity the past week. After my humiliating defeat on Christmas Day, I’m back at my 30-Day Challenge on Wii Active. I was a little disappointed the first day that after breaking a sweat and stretching muscles I had forgotten, I found that I had only burned 100 calories. I quickly rebalanced my metabolism by replacing the lost calories with a 140-calorie Coke. After that, I nursed the baby, and she spit up about half of the milk she drank. “Wow! I think I just burned more calories in the milk she spit up than I did during 20 minutes on Wii Active!” I said. My oldest son looked at me perplexed. I know! It's so cute!We've been thinking of you while we're watching the Olympics. How far are you from Vancouver? I didn't realize that 90 percent of Canadians lived along the border with the U.S.
Love it! And don't you love this stage of baby life. Every day brings something new! Love the comment from your son! We live close to the Olympics, only about 100 miles south! But we won't be crossing the border to watch, it's crazy expensive to get tickets.